Podcast: "Fatal Voyage: The Mysterious Death Of Natalie Wood"
Hours before Natalie Wood's corpse was recovered off California's Catalina Island, the occupants of the boat moored next to the Hollywood legend's yacht said they heard a woman desperately crying for help. 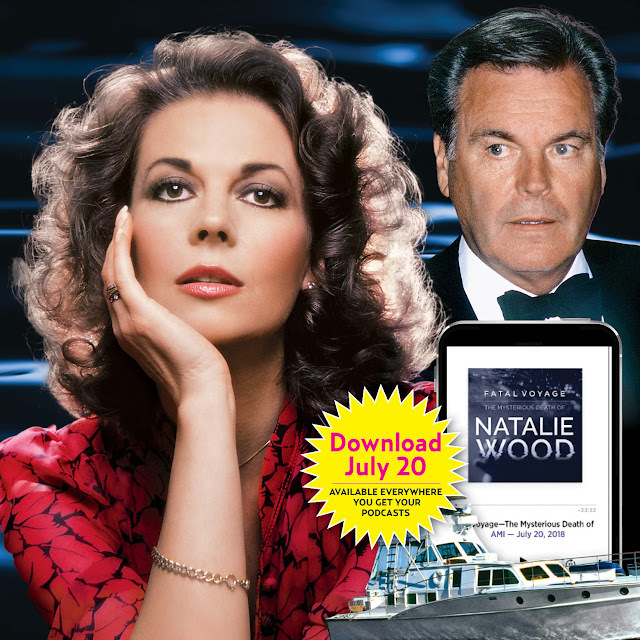 That is the startling revelation to emerge from Chapter 7 of "Fatal Voyage: The Mysterious Death Of Natalie Wood," released today, the critically acclaimed true crime podcast that soared to the top of the iTunes chart and made worldwide headlines. In a stunning exclusive interview with the makers of the 12-part audio documentary, earwitness Marilyn Wayne has finally told all about the anguished cries she heard that fateful night. "We heard screams from a woman yelling for help," she told the "Fatal Voyage" investigative team for Chapter Seven, titled "The Night Of," which is now available for download on iTunes. "Well, my son had a digital watch, that we had just given him so that's how we kept the time, minute by minute. I was up on the deck and heard a woman yelling, "Help me, somebody please help me, I'm drowning." She added: "I would yell down to my boyfriend John, who was on the phone to Harbor Patrol, or trying to reach Harbor Patrol, he never did. Meanwhile, we would continue to ask my son what time is it? So we had a minute by minute history of the time frame and the yelling went on from 5 after 11 until 11:25 and then it stopped." That time frame, of course, mirrors the believed duration during which the Oscar winner mysteriously vanished from her and her husband Robert Wagner's yacht, The Splendour, following a jealousy-filled two days at sea. The couple was hosting Natalie's "Brainstorm" costar Christopher Walken aboard their boat. In a second blockbuster interview broadcast for the first time in Chapter 7, the former Los Angeles County Supervising Rescue Boat Captain who removed Natalie's body from the water declares: "Wagner could have saved his wife but he didn't." Roger Smith, is a former Los Angeles County supervising rescue boat captain who headed a lifeguard team that helped in the search for Natalie that fateful morning nearly 37 years ago. In this never-before-heard interview, Smith broke decades of silence and revealed shocking new details about the tragedy that has remained a mystery and is currently being reinvestigated. 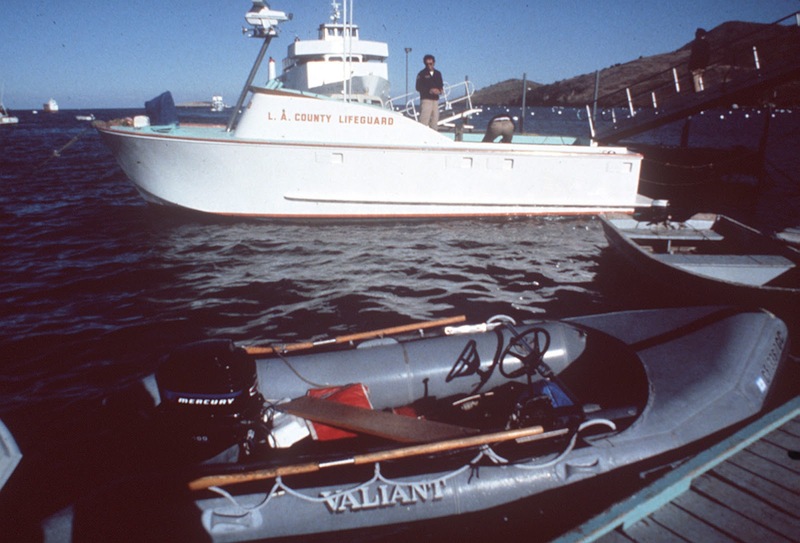 At 5 a.m. on Nov. 29, 1981, rescue boat captain Smith and his team were asked to help in the search. When the empty dinghy was eventually found, a helicopter hovered nearby and spotted something beneath the water several hundred yards away. It was Natalie, just below the water. Smith was nearby, and recalls the moment her body was gently lifted up and laid up on the deck. "She still looked like she hadn't been gone, dead very long," Smith said. "In fact, when I took off her ring on her hand, her hands were still pliable. You know, so nothing is set in yet. No rigor mortis at all. And her facial, she looked, she looked like she hadn't been dead very long." According to commentary in Chapter 7, rigor mortis begins to set in around four hours after death, and cold water could slow it even further. "If Roger Smith's account is accurate, there's a chance Natalie had survived in the water for quite some time prior to being found," explained Executive Producer, Kelly Garner. In previous chapters of the series, the yacht's captain, Dennis Davern, described a harrowing two days of pettiness and rage from Wagner as he bristled over Natalie and Walken's friendship. 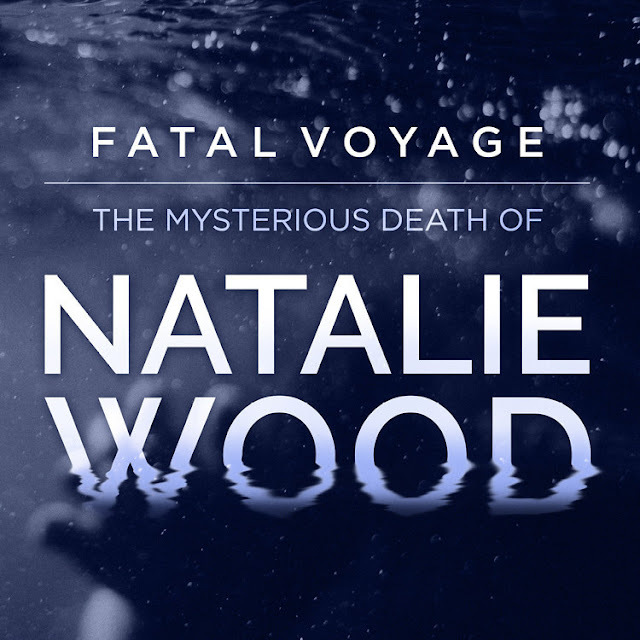 In the debut episode of "Fatal Voyage: The Mysterious Death Of Natalie Wood," a homicide detective from the Los Angeles County Sheriff Department labelled Wagner a "person of interest" in the unsolved case of Natalie's death, which they say has yielded considerable evidence suggesting foul play. Homicide Detective Ralph Hernandez explaining the bruising on Natalie's body suggests she was the victim of assault on the night of her death. Natalie Wood being raped at the age of sixteen during an "interview" at Chateau Marmont. 16 years old Natalie having an affair with a director more than 20 years her senior, with speculation of it being to ensure the lead female role in Rebel without a Cause. Robert Wagner's alleged affair with a man. Robert Wagner, fearing Natalie had fallen for Warren Beatty, showing up at Beatty's house with a gun intending to kill him. Natalie Wood attempted to commit suicide by ingestion sleeping pills. Natalie Wood's on-set chemistry with co-star Christopher Walken enrages RJ. Lana Wood reveals Natalie Wood reunited with RJ because "it's better to be with the devil you know than the devil you don't." Natalie Wood was ready to leave RJ for the second time. Natalie Wood always made more money than RJ and paid off his debt when they remarried. Dennis Davern reveals that after a day of tension where RJ began to act crazy, Natalie insisted on spending the first night of the weekend getaway on shore, away from him. ⏩ Episode 7 is available to download and listen for free in full via iTunes now, including more exclusive details and interviews as part of the reinvestigation. An A-List Hollywood Actress vanishes from a yacht and her body washes ashore the following morning. Her leading man husband, and a legendary actor who accompanied them on a pleasure cruise, claim she accidentally fell overboard. But questions, terrible ones, linger. A brutal argument. A skipper who overheard violence. A coroner who's ruling of "accidental drowning" is overturned, and Los Angeles homicide detectives who are still running the case to ground almost four decades later. 'Fatal Voyage: The Mysterious Death Of Natalie Wood' is a 12-part audio documentary series produced by American Media Inc and Treefort.Media that intends to solve the mystery of Natalie Wood's death, once and for all.